Thrace Group will participate at the largest international exhibition for the hospitality and foodservice sectors in the Middle East, that takes place at Seaside Arena. 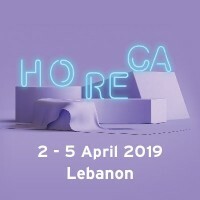 Since 1994, HORECA Lebanon exhibition has been serving as an annual meeting place for companies that operate in Lebanon and its neighboring countries or aim to expand their activities in the Middle East and beyond through new business partnerships. During the exhibition, Thrace Group will be presenting to more than 18,000 trade visitors its packaging solutions with multiple applications in various product categories, such as dairy and confectionary, ice-cream, salads, beverages etc. Holding an active role in the Circular Economy, Thrace Group designs, produces and distributes 100% recyclable packaging solutions in an environmentally responsible way.